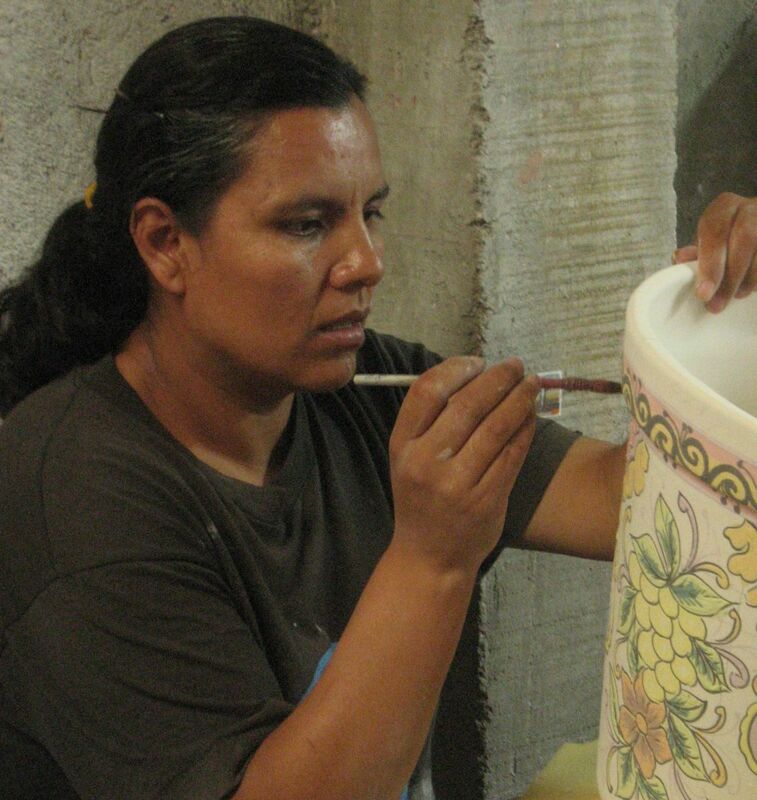 We are glad to introduce you to our Artisans. They are some of the top best in their field and we are very proud to be able to share their work with you. Also you can check our Artisan details at each product page, so you know exactly who is making your beautiful Mexican Art. "My grandfather taught my father and I the skills and techniques. Slowly, drop by drop I have been absorbing the skills needed for this wonderful job. My father has won awards Internationally and nation wide and I myself have won first and second places awards nation wide and Internationally. We are 8 people in the family and men and women work as a team to comply with any order. Most of us are winners of different prizes and awards within this guild". About the process of making art work in copper , Juan Jose gave me a fair explanation: "Once the metal is melted with heat, we hammer it as many times as need it to shape the piece we are creating. 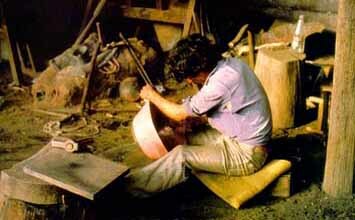 To obtain the natural color the piece is heated and introduced in water. For the dark and light coffee colors, we use a technique with fire to give the different tonalities". The basic tool Juan Jose uses is the hammer and tongs combined with the power of fire. He makes all his tools by hand since the family doesn't use any machinery in their facilities and only recycled copper with the highest level of purity. "It would not be possible to manufacture with such a quality if it was not for the purity of the copper". I'm sure you will appreciate Juan Jose skills when you receive your Mexican Art, the passion, love and many years of tradition will be taken to your home ambient. Juan Jose is always happy to hear back from our customers and when we show him pictures of the final projects he brings a big smile to his face, encouraging him to keep this wonderful tradition alive. re done after glazed, in this case the paint will fade in not time. But with Mario's full manufacture process your talavera toilet will keep its paint with not signs of fading for the life time of your toilet. w designs. Our ever increasing creative design’s motifs range from a wide variety of plain colors to the pre-Hispanic, colonial, and ethnic motifs. In the process to create a Talavera Toilet, we basically use ceramic pastes and clay and we recycle all the wasting materials. "My family has been in this guild for 95 years. The workshop was founded 4 generations ago by Felipe Vazquez, who passed the knowledge and skills to his descendants and ultimately to me". "We create these beautiful pieces of art by the combination of three types of clay, which in turn provides three different shades of color. 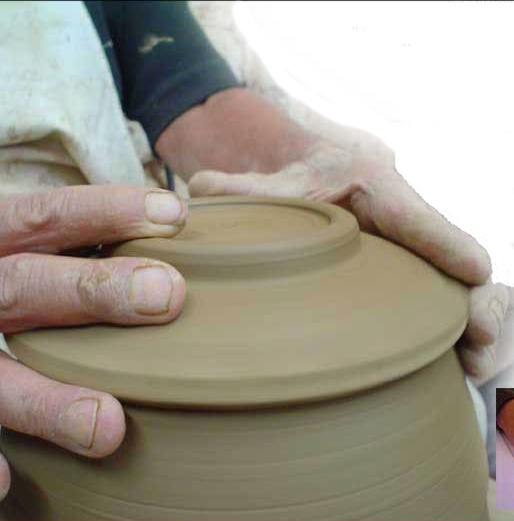 We knead the clay by hand or foot, and then we shape and dry it. The pieces are then fired at an extreme heat (850 degrees Celcius). Once they cool, they are submerged in glaze, which brings their color to life. Patterns are then drawn and painted on the pieces. 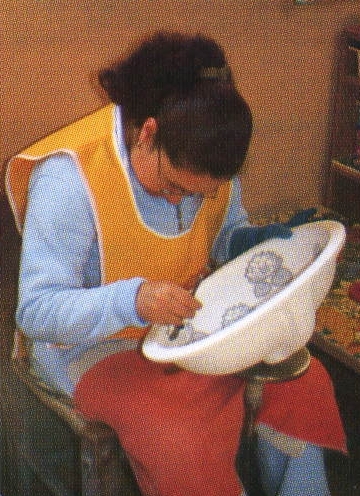 That’s why the designs are slightly raised off of the surface of the pottery. With an additional firing (this time at 1000 degrees), the Talavera work of art is complete and ready to be used and admired. Whenever is viable, we use recycled materials in our facilities, including recycled paper". 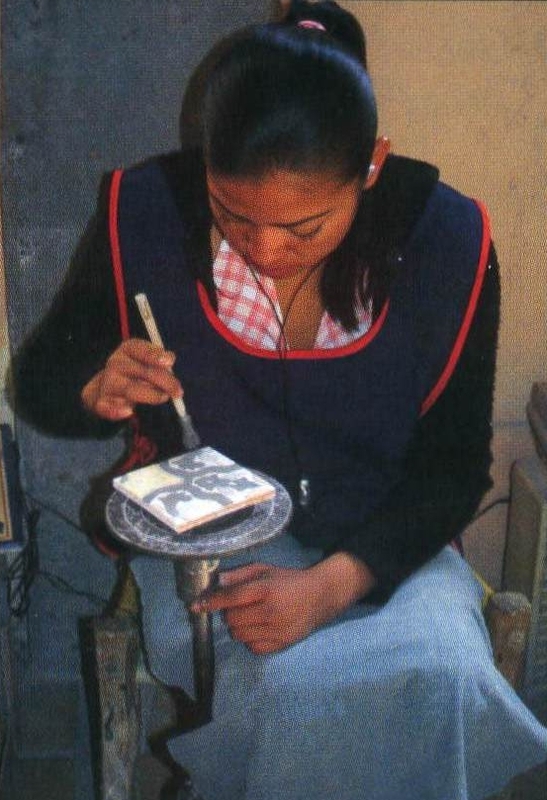 Mr. Cortes comes from a long generation of skilled talavera Artisans, specialized in high relief tiles and murals. I'm extremely happy to be able to work with him and is always a pleasure to hear all the positive feed back from our customers. His quality and passion on its work is something you can always count on. Mr. Cortes reputation of excellent quality and durable tiles is widely known. His work has being recognized with several awards as: "Arch of Europe Gold Star for Quality" and the Brazilian "Medalha de Ouro".